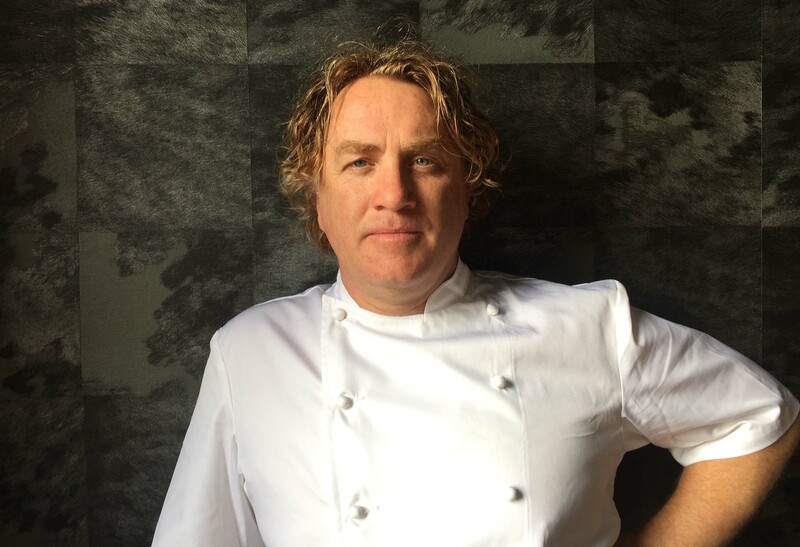 Adrian Richardson is owner and head chef at the successful and bustling La Luna in North Carlton where he has been serving up clean, fresh and innovative food since 1999. In 2016, Adrian opened his latest venue, Bouvier in Brunswick, which continues Adrian’s love of great food, mixed with a huge array of beverages for all tastes, in a stylish New York style setting. He has shared his passion through his acclaimed book “MEAT” published by Hardie Grant which was nominated for the best designed cookbook at the Australian Publishers Assoc Design Awards for 2008 and was included in Melbourne’s Herald Sun “Best Books of 2008” feature. MEAT was given a face-lift and re-released in September 2009 and Adrian’s second book “The Good Life” was launched in August 2011. In 2013, Adrian led a team of 3 Australian chefs to take on the US chefs (including Bobby Flay) on Iron Chef America. This was the first time that an overseas team was invited to take on the US teams. In 2016, Adrian was cast as the face of The Outback Steakhouse, USA and has started filming for all of their national TVC’s, which began on air in May this year. He has worked with the Outback Korea team recently, with a trip in November to do master classes with the Korean Outback team. Adrian is co-host of “Good Chef Bad Chef” which airs on Network Ten, he has shot 520 episodes to date. He also hosted two series of his own show “Secret Meat Business”, on the Lifestyle Channel. In 2007 Adrian co-hosted with friends Gary Mehigan, Manu Feildel and Miguel Maestre in the hit series “Boys Weekend” which now airs in over 110 countries. He has appeared in a guest chef challenge and the finale episode of “Masterchef Australia” series 1 and Masterchef All Stars 2012. In addition to Adrian’s other TV credits, he was a regular guest on Channel Ten’s “The Circle”, Channel Nine’s Mornings, Ten’s “9am with David & Kim” and hit TV series “Ready Steady Cook” for the first three seasons. In 2006 he appeared alongside Tobie Puttock in “Jamie’s Kitchen Australia”. Adrian’s passion for all things Australian, especially of the meat variety, has seen him invited to New York, where he participated in the Taste of Tennis at the W Hotel New York, and then held a successful sold out dinner at the James Beard Foundation. He has since returned twice by request from the Taste of Tennis organizers, in 2010 and 2011. Adrian was lucky enough to participate in a series of events in LA and San Francisco, for G’Day USA celebrations in 2014. Adrian inherited his passion for cooking from his Grandfather and has a simple philosophy with his food, which he calls “modern Mediterranean” – he believes in using the freshest ingredients and keeping it simple.